Great lively dance music here from the inimitable Tommy Basker. 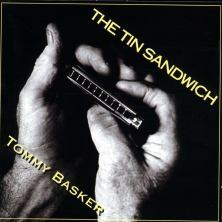 Tommy Basker made this CD of harmonica music during his 71st year. you hear a wide variety of tunes from various Cape Breton, Irish and Scottish sources. Harmonica backed by piano, guitar and tenor guitar.